As a new year brings in resolutions and goal setting for what people want to accomplish, there are a few things I’m asking the Deacons to focus on this year. It’s what I’m calling “Ways To Be” in 2017. My first and most important reason for this one is to help these future missionaries learn to LOVE that book. Now I’m grateful for technology and the convenience it provides in accessing gospel materials like never before. However being old-school and seeing a lot of value in tradition, I don’t know how you can come to love your scriptures if you aren’t holding that book, turning its pages and developing a deep appreciation for what it took to bring those writings to us without having physical contact with them. You can’t possibly learn to love the scriptures from the same device you listen to popular music on, watch questionable movies from and spend time playing pointless games through. I think our kids need help separating themselves from the constant beeping/buzzing in their pockets that brings the least amount of positive influence and meaningful activity. I’ve also heard other teachers tell their Sunday School classes that if they see a device, they’re going to take it. So then why not avoid that scenario altogether and leave the device at home. Who needs to be contacting them on a Sunday or even worse, playing a game while at church?! Honestly, I wish we would all disconnect from our devices for the whole Sabbath day… but I’ll shoot for the 3 hours these youth are in church. If being able to contact your child immediately has become a comfort zone for parents (which I get as a parent myself), then we might just ask to place devices in a basket during our activity so there is no temptation to be checking it every 30 seconds. I don’t have 1,000+ friends that keeps my feed alive… but most of these kids do, which is likely why it never stops. Again, the goal is for them to be present. Get involved in the larger conversation. Talk. Learn about each other. Ask questions. Practice having real conversations. Attending mutual and other scout activities should be a priority. Unless there is a conflict with sports, school or some other unavoidable family situation, Mutual attendance needs to be important. I hear my own kids go through a decision making process every week based on whether they “feel” like going or not, or whether they think it will be “fun” or not, or whether their friends will be there or not. I stand firm about them supporting their group regardless of the activity. They need to attend activities when it is time to GIVE as much as when there is something to receive. Participation on a Mutual nights should be non-negotiable. As a side note, I used to think those sports coaches who are strict and extreme about not missing practices were over the top with ridiculous expectations. Not anymore. I get it now. If kids were allowed to pick and choose when they came to practice, these coaches would never be able to develop a team that could compete or even have enough players to carry out the game (think church basketball). Our troop is a “team”. Obviously not the same kind of team as sports, but one that does have an impact on each other when no one shows up. Unlike a sports coach though, I won’t make boys run laps or do push-ups for missing activities. I also won’t prevent someone from going on the next scout outing for missing too many Mutual nights. But I am asking them to be more dependable. If you say you’re going to be somewhere to do something, be there. If you can’t, just communicate that so we can plan accordingly. This should be easy to do with everyone having a device, right?! Just don’t be a NO SHOW without any communication and think we’re all good. This is simply about doing your 2%! It’s also about being obedient and finding your own personal “WHY” to make this a daily habit. We are already called a “peculiar people” based on the LDS standards we choose to live by… so why not embrace that and be OK with being different. We’re different in the way we behave, in the way we dress, in the way we think and in our language. So let’s just accept that and keep doing things differently. Be different about your device. Be different about your commitments. Be different about your example to others. Just because everyone else around you is doing “it” doesn’t make “it” good. Don’t be shy about letting people know you’re different – who knows, you might actually get others to follow you who aren’t brave enough to stand up and be different by themselves. This is obviously tied to the Scout Motto, but I want to take it one step further. Know what your responsibilities are and do them. If you are a quorum President, come to your presidency meetings prepared. If you are a quorum member given an assignment, find a way to remember to get that task done. If you are a quorum Secretary, bring a pen and paper to make notes. Not bringing the “tools” for your job is like being a carpenter who has forgotten his hammer and nails. There are obviously many other ways to be, but this is what we will work on in 2017. 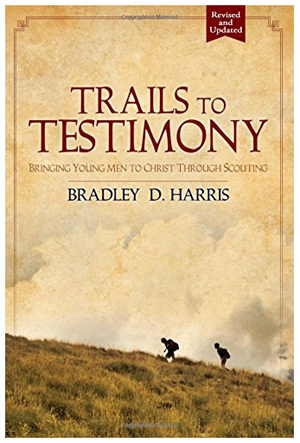 This entry was posted in Leading by Example, Miscellaneous and tagged deacon's quorum, goals, lds church, lds scouting, scout motto, ways to be. Bookmark the permalink.